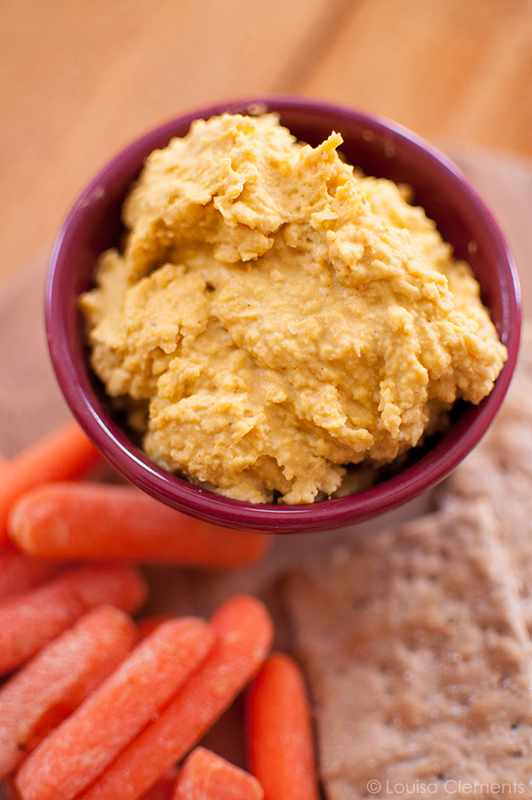 There is no better healthy, protein packed snack than a simple curried homemade hummus. I’ve started this new thing in 2015 where instead of buying hummus every week, I make it. Imagine that, friends! It’s a whole new world! One with endless possibilities. This week’s possibility is in the form of curried homemade hummus. Mind you, it’s only January so come back to me in a few months and check up on this homemade hummus thing, ok? Hummus is the ultimate snack because it’s packed with protein, which keeps you full longer. Did you know that? I feel like it’s kind of common knowledge by now, but I like to share. I’ve talked about hummus before and shared a favourite hummus recipe but ever since then, I’ve found myself buying hummus more often than actually making it. Wouldn’t it be great to be able to make all of your own homemade snacks and condiments? I try to make most things from scratch like tomato sauce, pizza sauce and even pizza dough (in the bread machine), but every now and then I think about making homemade ketchup. I’m pretty proud of myself now that I’ve ventured into hummus territory. Do you ever have one of those days where everything just seems to go wrong? So much so that the whole day just seems like a bit of a joke? I had one of those days last week. It all happened in the span of a few hours. First it started out with an epic recipe fail, which is par for course in this food blogging thing. It’s not a day-ruiner, because mistakes happen. But then, there was an incredible amount of traffic on the always lovely 401, which made me late for class (while I am chronically late for any social engagement, I’m always on time for class). And when I say late, I mean like halfway through the class late. Not my finest moment. 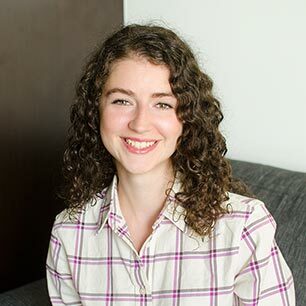 Then, I sat in a chair that was already taken and had to awkwardly find a new seat in front of my entire cohort, which was just kind of funny. To top it all off, I not-so-subtly spilled my coffee all over the floor and my purse. Like it went everywhere. Woops. Did I mention this was at 4pm on a Friday? I mean who schedules a class for 4pm on a Friday? The absolute worst. I could have been annoyed by all these little things, but I didn’t have control over any of them, so I just found it to be pretty hilarious. Even thinking about it now makes me smile. This is something that I’m fully embracing in 2015, just moving on and past all of the things I can’t control (of which there are many). It makes life so much easier, and lighter. This homemade hummus recipe is inspired by your favourite Indian curry, and is a great, simple and healthy snack to make at home. In a food processor, puree tahini, lemon juice and garlic. Add chickpeas, olive oil, spices and salt and puree. It will be slightly chunky, add in water in a steady stream. Continue to puree until desired consistency. Let me know if you give this curried homemade hummus a try, it’s the perfect healthy snack. Thanks, Suki! Let me know how it goes. Thanks, Ceecee. Let me know how it goes!